Though it’s always a challenging task to decide which of the many wonderful herbs to include in listings such as this, limited discussion is made to those herbs that have the greatest safety record and are commonly used for household situations. Most of these herbs can be used successfully over a long period of time, with no harmful side effects, and for a variety of purposes. Warnings are given where appropriate. For a more complete listing of beneficial herbs or for further information on the herbs that have included, consult any one of the encyclopedic herbal practitioners available today. Reading will fill one’s head with the wonderful facts and stories about each plant, but herbalism is more than “head” learning. Adaptogenic, tonifying, and sometimes referred to as “the young person’s ginseng,” astragalus strengthens the deep immune system and helps rebuild the bone marrow reserve that regenerates the body’s protective shield. It is particularly beneficial for strengthening the spleen and lungs. It is a superior tonic herb and is used in the treatment of chronic imbalances. It is also useful for regulating the metabolism of dietary sugars, and thus it is helpful for people with diabetes. Astragalus is best used in tea for long-term illness, for low energy, and to support and build deep immune strength. Astragalus can also be used in capsule form. Or just eat it as is: place a whole root or two in a pot of soup and simmer for several hours, or chew on it like a licorice stick; it’s quite tasty. This tenacious wild plant is a bane to farmers and a blessing to herbalists. It is the herb useful for the skin and also used internally and externally for eczema, psoriasis, acne, and other skin-related imbalances. It is a superior tonic herb for the liver, and because of its pleasant flavor it is often formulated with other less tasty “liver herbs”. 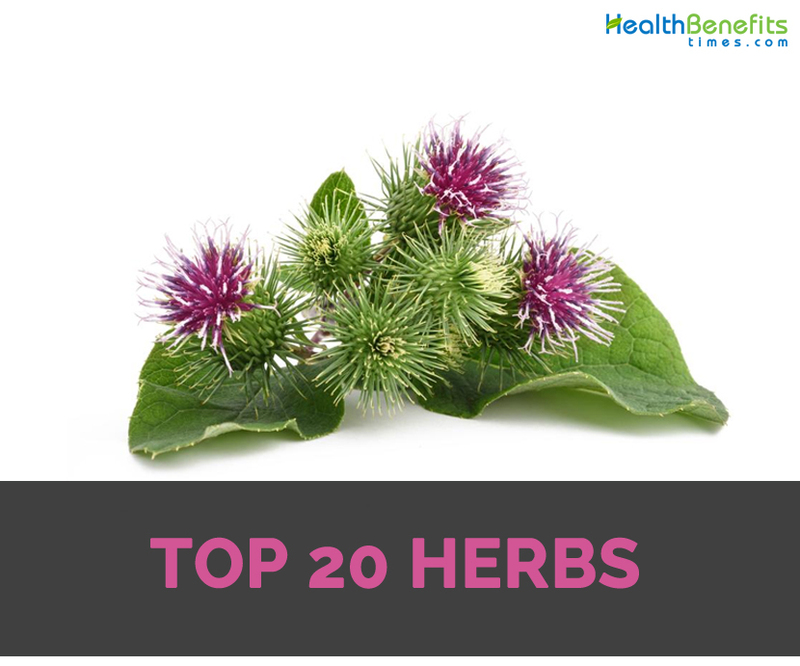 Burdock makes a fine-tasting tea; teenagers with problem skin could try it mixed with juice or other herbal teas. It is also used as a wash for itchy, irritated skin.Serve root decoction as a meal for digestive aid. The fresh root, grated and steamed and served with a sprinkle of toasted sesame seed oil, is delicious. The seeds are often used in ointments for the skin. Known to most people as marigold or pot marigold, this sunny little flower brightens most gardens. It is a powerful vulnerary (heals wounds), healing the body by promoting cell repair, and acts as an antiseptic, keeping infection at bay. Calendula is externally used for bruises, burns, sores, and skin ulcers. It is also used internally for fevers and for gastrointestinal problems such as ulcers, cramps, indigestion, and diarrhea. It is also a wonderful lymph tonic and is cleansing and strengthening for the immune system. And, of course, you see it used in many cosmetics for its skin-soothing and beautifying effects. Calendula is most often used in salves for burns and irritated skin, but it is also effective as an infusion for skin problems, fevers, and gastrointestinal upsets. It is oftentimes brewed as a triple-strength tea and used as a hair rinse. For use as a lymph tonic, try a calendula tincture. Cayenne is beloved around the world, with almost a cultlike following. And it’s really quite deserving of all the attention it gets. Not only a wonderful fired-up culinary herb used in all manner of dishes worldwide, it is also a highly valued medicinal plant. It serves as a catalyst to the system, stimulating the body’s natural defense system. It has antiseptic properties and is an excellent warming circulatory herb. It is one of the best heart tonics, increasing the pulse and toning the heart muscle. Cayenne is also a natural coagulant that stops bleeding. It acts as a carminative, stimulates the digestive process and assist congestion and constipation. Cayenne can be used sparingly in many formulas (teas, capsules, tinctures, and food preparations) as a catalyst or action herb. The burning feeling it creates is superficial and not harmful. Caution: Cayenne, though perfectly safe, is hot. Even a pinch of cayenne in a tincture formula can overwhelm. Use with caution and only in small amounts. Always wash your hands well with soap and water (or vegetable oil or cream) after working with cayenne so as not to transfer it to your eyes. This little plant is a healing wonder. In its flower tops, it has rich amounts of a deep blue essential oil called azulene that acts as effective anti-inflammatory agent which makes chamomile excellent to relieve pain in joint problems such as arthritis and bursitis. Its flowers make a soothing tea that is relaxing for the nervous systems. It is a general digestive aid and is one of the best herbs for colicky babies. The tea sweetened with honey can be served throughout the day to calm stress and nervousness. A few drops of chamomile tincture will aid digestion and is excellent for calming babies. Chamomile makes wonderful massage oil for relieving stress and anxiety; the herb and its essential oil are often used in oils and salves for sore, achy joints. Chamomile is also found in many cosmetic formulas, as it aids in skin repair, and it is also frequently added to bathwater for a relaxing and soothing wash.
Chaste tree, a shrub native to the Mediterranean region, has been employed by Europeans since ancient times. It is one of the most important herbs for feeding and nourishing the reproductive organs of both men and women and is especially helpful in restoring vitality and general tone to the female system. Chaste tree is the herb of choice for many women to relieve the symptoms of menopause and PMS and to regulate any kind of menstrual dysfunction. (While chaste tree is an important herb for many women, it doesn’t work for everyone; pay attention when first using it to see if it suits). Many people use it to enhance their sexual vitality, though there’s some controversy about whether it stimulates or depresses sexual desire. It stimulates or depresses depending on what your body needs, while addressing the root cause of the imbalance. Chaste tree berries look and taste a bit like black pepper. Though they can be camouflaged in tea, they are most often used in tincture or capsule form. They can also be put in a pepper grinder and used like pepper. Chickweed can be found worldwide in moist, cultivated soil and is commonly considered a weed. It is highly esteemed for its emollient and demulcent properties and is a major herb for skin irritations, eye inflammation, and kidney disorders. It is often used in salves and poultices for rashes and other skin irritations. 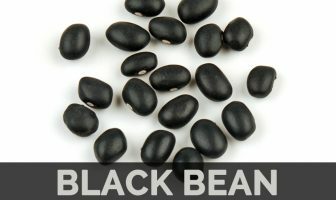 It is a mild diuretic and is indicated for water retention. In addition, chickweed is a treasure trove of nutrients, including calcium, potassium, and iron. The fresh tender greens are delicious in salads. They can also be juiced; they’re particularly good blended with pineapple juice. An infusion of chickweed is soothing. This herb doesn’t dry or store well, so to preserve it for future use, try tincturing some of the next crop of chickweed that pops up in your garden. Rather than view it as a weed, see it as the healing, tender, and tenacious little plant it is. Another common garden weed, cleavers is often found growing near chickweed; they seem to enjoy the same habitat. And the two are often combined in formulas as well. Cleavers and chickweed are mild and safe diuretics, and used to tone and soothe irritations of the kidneys and urinary tract. In addition, cleavers is an excellent lymphatic cleanser and is often used as a safe, effective remedy for swollen glands, tonsillitis, and some tumors. Prepare in the same way as chickweed. Cleavers also does not dry or store well, so prepare it as a tincture for future use. Its botanical name, Tussilago, means “cough dispeller,” and coltsfoot have been used as an aid for coughs, colds, and bronchial congestion. It is an anti-asthmatic and expectorant, helping to dilate the bronchioles and expel mucus. Coltsfoot is a common weed found growing along roadsides, ditches, and streams throughout the United States. People often confuse it with dandelion, as the flowers are similar. But coltsfoot blooms in the very earliest part of spring, before the large, rounded leaves appear. Coltsfoot is often infused with other compatible lung herbs, such as mullein, elecampane, sage, and wild cherry, and served as a tea. Caution: There is some concern about the safety of Tussilago because some members of the large family to which it belongs have been found to contain PLAs, a group of chemicals that can cause damage to the liver. Studies have been inadequate and inconclusive, and none show coltsfoot to be harmful or damaging. Because of these findings and because coltsfoot has been used safely and effectively for hundreds of years, continue to use it. Rich in allantoin and deeply healing, comfrey is commonly used in soothing poultices, salves, and ointments. It facilitates and activates the healing of tissue. It is absolutely one of the best herbs for torn ligaments, strains, bruises, and any injury to the bones or joints. It can also be used internally; rich in mucilage, it soothes inflammation in the tissues when administered as a tea or in pills. The root and the leaf have similar properties; the root is stronger, the leaf is more palatable. Use them both in salves and ointments. The root is decocted and the leaf is infused. Caution: Studies conducted with colsfoot found traces of PLAs in comfrey. Studies weren’t conclusive, and many other herbalists, continue to use comfrey though not to be used in formulas meant for internal use by others. One can decide for themselves whether they feel comfortable ingesting comfrey. However, comfrey is absolutely safe to use for external purposes; everyone agrees on this. The corn silk (flower pistils) from maize has long been used as a urinary tonic. It acts as an antiseptic, diuretic, and demulcent on the urinary system. It stimulates and clean urinary passages along with soothing inflammation. It is one of the most effective herbs for counteracting bedwetting and incontinence. Corn silk is also, surprisingly, delicious, tasting a bit like fresh corn on the cob. Use as a tea during the day to strengthen the urinary system. Take corn silk as a tincture at night to help prevent bed-wetting. Other treatments, such as Kegel exercises, should be used in conjunction with corn silk for the treatment to be most effective. Half the world loves this plant, using it for medicine and dining on it daily. The other half has been trying to destroy it with chemical warfare since the 1940s. But dandelion’s tenacity is part of its beauty and, perhaps, has something to do with its medicinal properties. The roots are a superior liver tonic and can help relieve poor digestion and lower bowel complaints. The leaves are a mild diuretic used to treat water retention and bladder or kidney problems. They are rich in iron, calcium, and other trace minerals and are treasured the world over as delicious wild greens. The flowers make a delicious wine. Dandelion root is decocted and served as a tonic tea for the liver. The root, when tender, can be chopped like a carrot and added to a stir-fry or soup. The leaves are infused for tea, steamed, or added raw to salads. Dandelion has a bitter zest to it, so it’s best when blended with milder herbs. Steam the leaves and then marinate them overnight in Italian dressing and honey. This beautiful, hearty plant is among the best immune-enhancing herbs that we know of and one of the most important herbs of the time. Though incredibly effective, it is not known to have any side effects or residual buildup in the body. Echinacea performs by promoting macrophage T-cell activity, thereby increasing the body’s first line of defense against colds, flus, and many other illnesses. It is also an excellent herb for the lymphatics. Though potent and strong, it is 100-percent safe, even for young children and the elderly. Take echinacea in frequent small doses in tea or tincture form to boost immunity at the first sign of a cold or flu. It is also useful for bronchial infections as a tea or tincture. Use as a spray for sore throats. For sore gums and mouth inflammation, make a mouthwash from the root, with peppermint or spearmint essential oil to flavor it. Caution: Several species of echinacea are used for medicinal purposes, and even more species are common ornamental varieties in the garden. Echinacea purpurea and E. angustifolia are the two most commonly used medicinal species. Because of its popularity in both Europe and the United States, echinacea has been trespassed extensively from the wild and is considered an at-risk herb by the United Plant Savers. Thankfully, many organic farmers are now growing it. Help in saving native species by using echinacea only from organically cultivated sources, and avoid using wild-harvested echinacea. To make a refreshing/healing herbal mouthwash, prepare echinacea root in the form of tincture. Combine 4 ounces of the tincture with 3 ounces of water and a couple of drops of essential oil of peppermint or spearmint. Mix well. To use: Add 1 to 2 teaspoons of the tincture to half a glass of warm water. Swirl it around in your mouth several times and spit it out. Repeat as needed. Elder flower syrup is the commonly used formula of Europe for colds, flus, and upper respiratory infections. This is available in most pharmacies as well as natural food stores throughout Europe. In the United States, elderberry syrup and tincture are also popular remedies for flu and cold viruses, though you are more apt to find them in herb and natural food stores than in pharmacies. Both the flowers and berries are powerful diaphoretics: by inducing sweating, they reduce fevers. Elder has powerful immune-enhancing and antiviral properties as well and is even more effective when combined with echinacea. Elderberries make some of the best syrups and wines one will ever taste. The flowers are also edible and medicinal and are often used in teas for fever. Caution: There are a few different varieties of elder that grow in the United States. Those with blue berries are safe to eat, though most people agree that it’s best not to eat the fruit raw but to cook, dry, or tincture it. The berries of red elder, a small shrub that grows in higher elevations and looks similar to the blue elder, except for its bright red fruit, are not edible. Don’t eat red elderberries! Elecampane is a large sunflower-like plant easily grown in garden. Elecampane’s large root has long been used for deep-seated bronchial infections. It is as an excellent expectorant (to expel mucus from the lungs) and a stimulating respiratory tonic, and it is one of the most popular herbs for coughs, bronchitis, asthma, and chronic lung ailments. Though a powerful and effective medicinal plant, it is safe to use. Elecampane is combined with echinacea to treat bronchial infections, and because of its soothing properties it is frequently combined with licorice to treat irritation and inflammation in the lungs. Elecampane can be made into a tincture using either the fresh or the dried root. It is also effective as a tea (decoction) or capsule. This common garden flower has an outstanding reputation for the treatment of migraines. Recent pharmacological studies have proved that it also alleviates inflammation and stress-related tension. Because it is quite bitter, generally combine feverfew with lavender and California poppy to make a tincture. As a migraine preventive, take to 1 teaspoon of the tincture two to three times daily for 5 days, rest for 2 days, and then repeat the cycle. Feverfew is most effective for managing migraines when taken over a period of 2 to 3 months, though it also alleviates migraine symptoms if taken during earliest signs of a migraine. While it is best to tincture the herb fresh, it is found that high-quality, properly dried feverfew works as well. More than a thousand scientific studies confirm this herb’s remarkable properties for enhancing physical and mental performance. Also known as eleuthero, Siberian ginseng has adaptogenic and tonic properties similar to those of Panax ginseng. Siberian ginseng strengthen endocrine, nervous, and immune systems and restores energy and vitality. This is one of the “longevity herbs” made famous in Asia for its seeming ability to promote and sustain a vital long life. Suggested uses: Use as a long-term tonic. The powdered herbs can be taken in capsule form or added to tonic recipes, blender drinks, and cereal. The root is decocted as a tea. The root can also be dried, chopped, and added to soup (remove the chunks before eating, as they stay hard). its biochelated calcium, nettle is excellent for children and is especially recommended for growing pains, when their bones and joints ache. An excellent reproductive tonic for men and women, nettle is used for alleviating the symptoms of PMS and menopause, as well as for improving fertility in both men and women when the infertility is due to poor nutrition. Nettle is also famous as a hair and scalp tonic; it is said to preserve a full head of healthy hair. Nettle is a pleasant-tasting green and is often served steamed. It can be used to replace spinach in any recipe but must always be well steamed; if undercooked, it will sting. It is also delicious as a tea, which can be served seve ral times a day to prevent allergy attacks. Freezedried nettle capsules have the best reputation for treating allergies and hay fever, but often combine the capsules with tea. Nettle is also effective as a tincture. One of my favorite trees, ginkgo is a slow-growing large perennial tree that can live to a hardy old age. It is the sole survivor of the oldest known tree genus, Ginkgoaceae, which dates back over 200 million years. And perhaps its status as a veritable living fossil accounts for its remarkable ability to help with memory and recall. Ginkgo serves as a “brain food” and is a great memory aid. It promotes vitality and enhance circulation. Use gingko as a regular tonic herb for those with memory loss or “brain fatigue.” In recent studies, it has been shown to halt the progression of Alzheimer’s when administered in therapeutic dosages (i.e., standardized extracts) over a period of time. Ginkgo must be used with consistency for several weeks in order to experience its benefits. Use capsules or extracts for treating memory loss or early onset Alzheimer’s disease. To strengthen the mind and circulation, in general, ginkgo is effective as a tea, a tincture, or capsules. Caution: Because of its effects on the blood and circulatory system, ginkgo should be discontinued for 2 weeks before and after surgery. Though it’s not generally a problem in such cases, it’s better to err on the side of caution.